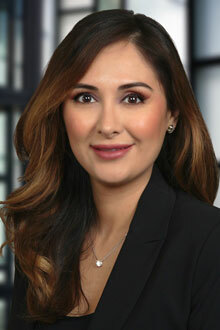 Jeanette Cardenas is a partner in the Tampa office of Lewis Brisbois. Ms. Cardenas litigates cases involving medical malpractice, long term care, Department of Health investigations, and wrongful death claims. She has experience defending healthcare institutions such as hospitals, nursing homes, assisted living facilities, adult day programs, nursing registries, and healthcare practice groups. She also represents individual healthcare providers including physicians, nurses, dentists, podiatrists, pharmacists, phlebotomists, and physical therapists. Additionally, Ms. Cardenas has considerable experience with general liability claims, with a focus on premises liability, hospitality, and automobile and truck negligence claims. Ms. Cardenas’ professional liability defense practice encompasses claims against insurance agents and brokers, cosmetologists, and real estate agents and brokers. Before joining Lewis Brisbois, Ms. Cardenas developed her legal expertise at a large Florida litigation firm and was a criminal defense attorney with the Hillsborough County Public Defender’s Office.